July: A Tough Month With Foreclosures For South Florida | The Law Office of Emil Fleysher, P.A. July: A Tough Month With Foreclosures For South Florida | The Law Office of Emil Fleysher, P.A. South Florida had a tough July raking amidst the highest foreclosure rates in the region. In July, South Florida was among the regions with the highest foreclosure rates in the Country. One in every 421 homes had a foreclosure filing throughout Miami-Dade, Broward, and Palm Beach County. The tri-county is ranked fifth throughout Florida. Palm Bay-Melbourne was among the top with one in every 404 homes in foreclosure, Orlando was second with one in every 357, but Ocala was first with one in every 296 homes. Unfortunately Florida was place at number 1 in July with the highest foreclosures throughout the nation. 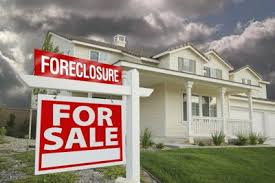 RealtyTrac considers repossessions, new law suits, and judgments as foreclosure fillings. South Florida decreased 40 perfect, when compared to last year July, their foreclosure filings with only 5,853. Palm Beach County had an annual decline of 24 percent, Miami-Dade County 44 percent, & Broward County with 49 percent. The highest foreclosure rate from the tri-county area was by Palm Beach County with one foreclosure filing per 352 homes.